Get your Free 40 Page Guide today! In Pay Zero Care Fees, you will discover how to get your affairs in order fast, protect your assets from the Government, enable people of your choice to make decisions on your behalf should you ever lose capacity, save yourself and your family tens and potentially even hundreds of thousands of pounds. Complete our Form to get your Free 40 Page Guide today! If your assets (including your home) come to more than £23,250, you will be forced to sell your home to pay for your care, whether that’s because of old age, an accident or mental illness. At the moment, residential care costs an average of £850 a week which equates to an annual payment of £44,200; please note that this figure very much depends on which part of the country you live in. Depending on the level of care required, particularly for Dementia and Alzheimer’s patients, these costs can be much higher. Latest figures reveal that over 30,000 homes a year in England and Wales are being taken from their owners by local authorities in order to help pay for long term care fees. Once submitted, you will receive an email with your Free Guide as a PDF to download and keep. 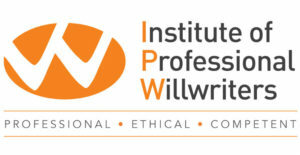 Nigel Johnson is an Estate Practitioner qualified originally with the IPW (Institute of Professional Will Writers) and then with STEP (Society of Trust and Estate Practitioners) by attaining the modern and highly sought-after Advanced Certificate in Will Preparation and Drafting. Previous experience includes: financial advisor in Banking, also attaining AIB qualification. Insurance with Norwich Union specialising in private healthcare and for a six-year period working with Heritage Legal and Financial based in the East of England before working in his own practice; NJ Legal Services. Please be aware that this guide is for use in England and Wales. Copyright © 2019 Pay Zero Care Fees | Book Landing Page By Rara Theme. Powered by WordPress.